It's been a bit of a crazy week. When you combine sick kids, a sore back, a blizzard and sub-zero temps, it's every man for himself! 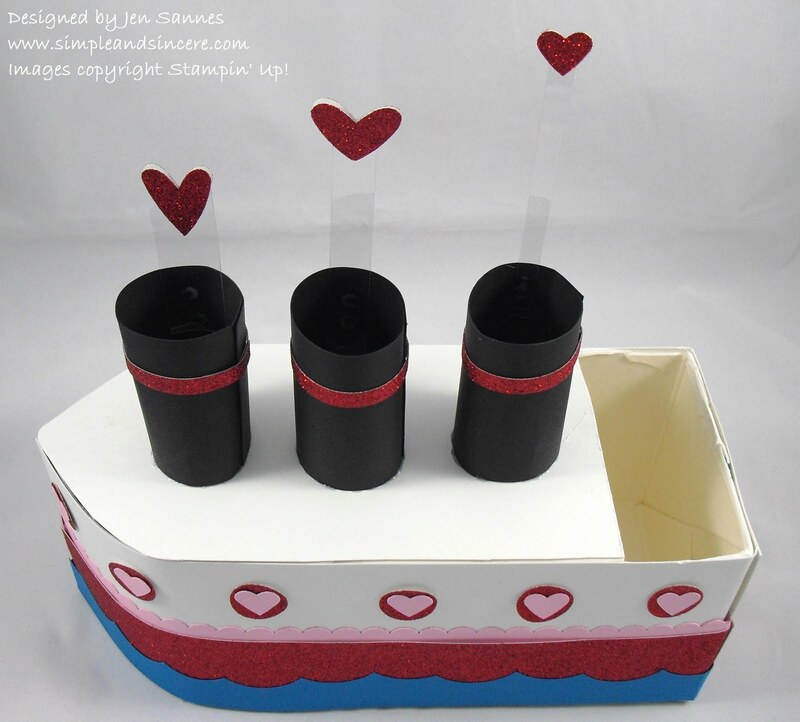 But, we have survived up to this point and we kept busy during our snow day making our Valentine's Day Love Boats. I totally stole this idea from this month's Family Fun magazine, but added my own little twist. The kids and I hunkered down at the kitchen table and got to work yesterday morning and I am not exaggerating when I say that these took us most of the day to complete. We did take a lunch break, but that was about it. We had lots of fun putting these together - the decorating was by far the most enjoyable. 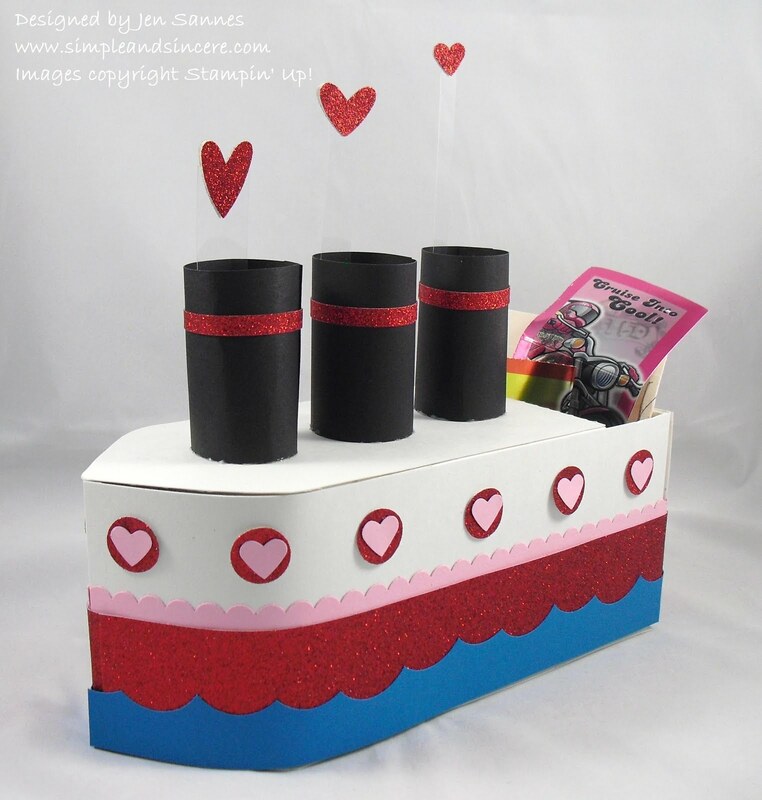 :) I wish that I had taken pictures of the kids working or of my kitchen table, which quickly became a disaster zone, but I was too busy decorating my boat! The "boat" is made from a half-gallon orange juice (or in our case soy milk) carton. For more directions, go check out Family Fun magazine. The instructions include some measurements and tips. I personally LOVE my heart-shaped puffs of steam (that was my one original idea). Cute, huh? ... and this is Enavi's box. Too fun! Now we get to fill them with Valentine's Day goodies! Cutest Love Boats I've ever seen! You either gulped alot of milk, or this was planned for that proverbial "some" day! Love them! What a fun project - and a great way to share the snow day with your kiddos! Thanks for sharing. What an adorable idea saving this one for mayb next years idea!! !